If every country in the Persian Crescent has a nuclear bomb or two or twenty – then what happens? How is that going to work with Iran testing long-range solid fuel missiles to deliver those nuclear weapons payloads – when will it destroy us all? Iran has successfully test-fired a long range, improved Sejil 2 missile, the country’s state television has reported. The missile can reportedly hit targets 1,250 miles away – putting it in reach of Israel as well as US bases in the Gulf, and south-east Europe. Gordon Brown immediately condemned the missile test and warned Iran it faced tougher sanctions. The Prime Minister discussed the development when he met UN Secretary General Ban Ki-moon at climate change talks in Copenhagen. He said: “This is a matter of serious concern to the international community and it does make the case for us moving further on sanctions. 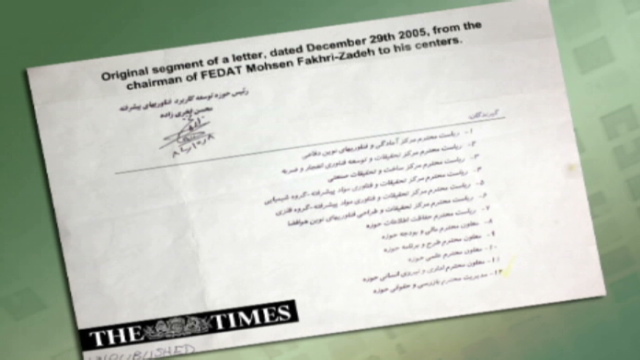 Concern increased this week after a document emerged suggesting Iran was working on testing a key nuclear bomb part. The Times newspaper said it had obtained notes describing a four-year plan to test a neutron initiator, the component of a nuclear bomb that triggers an explosion. Experts believe the documents are the strongest indicator yet of a continuing nuclear weapons programme in Iran. The technical document describes the use of a neutron source, uranium deuteride, the Times said, which is feared to have no possible civilian or military use other than in a nuclear weapon. Uranium deuteride is reportedly the material used in Pakistan’s bomb, from where Iran obtained its blueprint. Last month, Iran unveiled plans to build 10 new uranium enrichment plants in breach of UN resolutions. Tehran, Iran (CNN) — Iran tested an upgraded version of a surface-to-surface missile with a range that makes it capable of reaching parts of Europe, state-run television reported Wednesday. Iranian Defense Minister Gen. Ahmad Vahidi said on Press-TV that the solid-fuel, high-speed Sajil-2 missile has “great maneuverability” and can access targets more than 2,000 kilometers (1,242 miles) away, making Israel and U.S. military bases in the Gulf reachable. Vahidi said the missile has a shorter launch time and is intended to boost Iran’s deterrent capability. Iran tested the initial version of the Sajil-2 back in May. Then in September, days before a key meeting over nuclear issues with industrialized powers, Iran tested two types of long-range missiles. Those tests drew condemnation after the Islamic republic revealed the existence of a covert uranium enrichment site near the city of Qom. “The only realistic use of this is in a nuclear weapon,” said David Albright, the president of the Institute for Science and International Security. The fact that the document comes out at this time makes it very difficult for Russia and China not to go along with more sanctions. “It shows that either Iran is developing the capability [to build nuclear weapons] or it is moving to implement a bomb program — and either one is bad,” said Albright, who reviewed the document for the Times before the newspaper published its report Sunday. But Albright warned that the document is edited and has no date on it. The source who gave it to the Times said it was from 2007, but neither the Times nor the ISIS was able to date it definitively, Albright said. According to a report dated Monday on the Web site of Albright’s group, a neutron initiator is a critical component of a nuclear weapon. The ISIS report said the device “would most likely be placed at the center of a fission bomb made from weapon-grade uranium” and “works by the high explosives compressing the nuclear core and the initiator” to produce a “spurt of neutrons” as a result of fusion. “The neutrons flood the core of weapon-grade uranium and initiate the chain reaction,” the ISIS report said. Skygazers in the northern hemisphere are preparing for the high point of the annual Geminids meteor shower. The shower is expected to be especially easy to see this year because it is nearly the new Moon, meaning there is less moonlight to obscure it. The meteors can be seen streaking across the night sky from 2000 GMT onwards, reaching a peak after 2200. Robert Massey, of the Royal Observatory in Greenwich, said about 100 meteors an hour would make it a “nice sight”. In August, people in the UK were treated to the sight of the Perseid meteor shower. Normally, meteor showers result from dust which has been blown away from comets which have passed near the sun. The warmth of our star melts part of the icy comet, releasing rock fragments. The naked eye is usually best for seeing meteors, which can often streak across more than 45 degrees of the sky. Do you intend to watch the Geminids meteor shower? Send your pictures or videos to yourpics@bbc.co.uk, text them to +44 7725 100 100 or you have a large file you can upload here. Bangkok, Thailand (CNN) — Thai authorities seized a cargo aircraft carrying tons of weapons from North Korea during a refueling stop in Bangkok, a government official said. The pilot told Thai authorities the aircraft was headed to Sri Lanka, but its final destination was unknown, according to Panitan Wattanayagorn, a spokesman for the Thai prime minister. It contained about 35 tons of weapons, including rocket-propelled grenades, shoulder-launched rockets and tubes that may be missile components, the spokesman said. The plane, which was detained Saturday, had five people onboard — four from Kazakhstan and one from Belarus. Iran has accused the US of abducting one of its nuclear scientists who has been missing since June. Shahram Amiri disappeared in Saudi Arabia while on a Muslim pilgrimage. “Based on existing pieces of evidence that we have at our disposal the Americans had a role in Mr Amiri’s abduction,” Mr Mottaki said. Mr Amiri worked as a researcher at Tehran’s Malek Ashtar University, according to Iran’s state-run Press TV channel. However, some reports said he had also been employed by Iran’s Atomic Energy Organisation, and had wanted to seek asylum abroad. Moscow is said to be getting closer to buying from the French a Mistral-class assault warship – capable of transporting and deploying up to 16 helicopters, 13 battle tanks and 450 troops – costing between $600m (£368m) and $750m. Should Paris decide to go ahead with the sale, France would become the first Nato member to have chosen to sell advanced military technology to Moscow. Russian Prime Minister Vladimir Putin discussed the potential deal during a recent official visit to Paris. “We are buyers, you are sellers,” he told his hosts. And Russian generals have said that, had they had such a warship during the August 2008 conflict with Georgia, they would have been able to reach its shores within 40 minutes – rather than the 26 hours the country’s navy took after setting off from their base in the Ukrainian Crimean port of Sevastopol. Retired Russian naval officers acknowledge that the Russian navy is in a very poor state. The shipyard, which produced the majority of Soviet aircraft carriers and missile cruisers, is not even Russian; it is in Mykolayiv, in southern Ukraine. What remains of the Russian navy is estimated to be 20 times smaller than that of the US. Yet Russian manufacturers themselves oppose the potential purchase from France – suggesting Moscow would do better to invest the money in reinvigorating Russia’s own military industrial complex, which they say has been starved of funds. Ukrainian Rear Adm Serhiy Blyznyukov, an adviser to the Ukrainian defence minister, said it was not clear whether Russia would deploy a Mistral-class warship to the Black Sea. The base at Sevastopol, he said, is lacking the required infrastructure – meaning Russia would have to station the warship at the base of its Northern or Pacific Fleets. But he acknowledged that in the longer term Russia could upgrade and modernise its facilities in Sevastopol. Another solution for Russia, he said, would be the creation of a new naval base at the Russian Black Sea port of Novorossiysk, where Ukraine hopes the current Black Sea fleet will be based after Russia’s lease in Crimea expires in 2017.